Boasting a unique combination of modern and WW2 facilities Lough Erne Yacht Club endeavours to meet the needs of all its members and their guests. 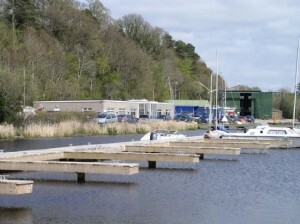 The Lough Erne Yacht Club is based on a rural waterfront site formerly used as world war two slipway, moorings and hangar. 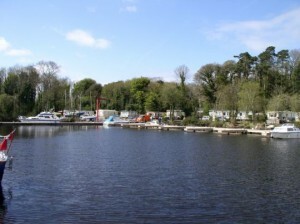 The Club has developed a Clubhouse built in the 1960’s and extended in the 1980’s, a full service marina and a caravan site. 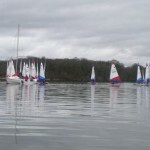 Lough Erne Yacht Club is now used to accomodate members’ sailing boats, power boats and caravans and hosts both members’ fleet and visiting sailing events throughout the year. The Clubhouse is home to a clubroom, changing rooms, bar, galley and social activities area. The Marina contains 50 berths with full water, lighting and electricity and was completed in 1992. An extension with space for an additional 28 berths has more recently been added. The WW2 Hanger provides a unique winter storage facility accommodating craft of all sizes. The mobile boat hoist accommodates boats up to 12 tonnes. We also have a pillar crane which can lift up to 2 tonnes. Please contact us by email or call in and see us as visitors are always welcome. 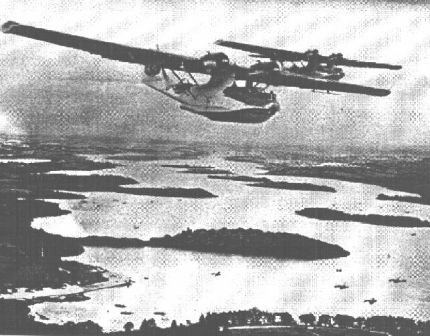 Lough Erne Yacht Club now occupies a former WW2 RAF site built in 1941 for Catalina Flying boats. The former slipway, moorings and hangar are now used for members’ sailing boats, power boats and caravans. The Clubhouse, with changing rooms, bar and social facilities was built in the 1960s & 1980s. A marina containing berths with full water and electricity was completed in 1992. An extension with space for an additional 28 berths has recently been added. At the next roundabout (Donnellys Car showrooms on right) carry straight on for approx 2 miles. 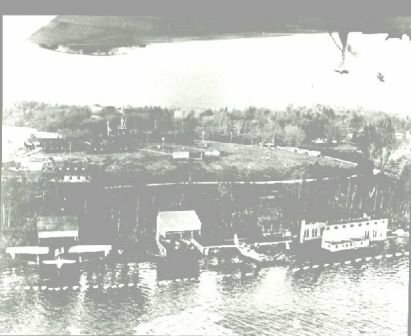 Pass St Angelo airport on left. At the end of the straight, the road bends right. LEYC entrance is on left after bend and is signposted with a brown sign. If you reach the entrance to the Manor House Hotel, Marine and Chalets you have gone too far. Turn around!! Take the road for Lisnarick and after 4 miles approx arrive at a T-Junction in Lisnarick village. Turn left and travel for four miles passing both entrances to Manor House Hotel on the right hand side. The entrance to the club is the right hand side and is signposted with a brown sign. Membership of Lough Erne Yacht Club is open at present and applications are welcome from sailing and cruising applicants. The Application for Membership is below. Please complete it and return to the secretary of the club at the club address. This section is for people wishing to visit Lough Erne Yacht Club or to bring a fleet to race or train on Lough Erne. Visitors are welcome at Lough Erne Yacht Club, for public events, at the specific invite of a member or by arrangement with the committee. Public Events: A listing of events are listed on the club calendar, with public events highlighted as “welcoming visitors”. For craft visiting the club for a championship access arrangements will be confirmed through the Notice of Race. 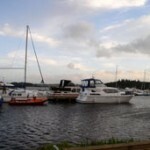 Lough Erne Yacht Club welcomes visiting fleets. Please make initial contact through the club secretary. 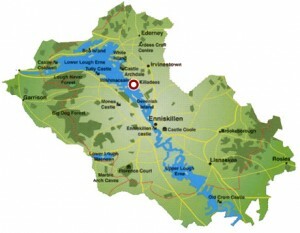 To become a Member of Lough Erne Yacht Club download the application form here and submit it to the club secretary. Entrance to the site is controlled by a electronic gate card. There is no turning point on the lane so entry to the property must be made with a member or a member of the committee. Directions to the Club can be found by clicking here. Visitors are welcome to moor at the main club jetty by prior arrangement. Bearing in mind that the jetty is actively used by sailing craft, visiting craft are advised to moor at the end of the jetty, rather then in the middle. The jetty has no electricity or water supply. All the marina spaces are allocated to members and are unavailable as visitor moorings. A listing of accommodation in proximity to the club is available by clicking here.